I’ve done so many fun and interesting cakes these past few weeks, I haven’t had a free minute to do a post. Here is one of my favorites. Mostly because the inspiration was a quilt block designed by the woman for which I was making the cake (second picture). 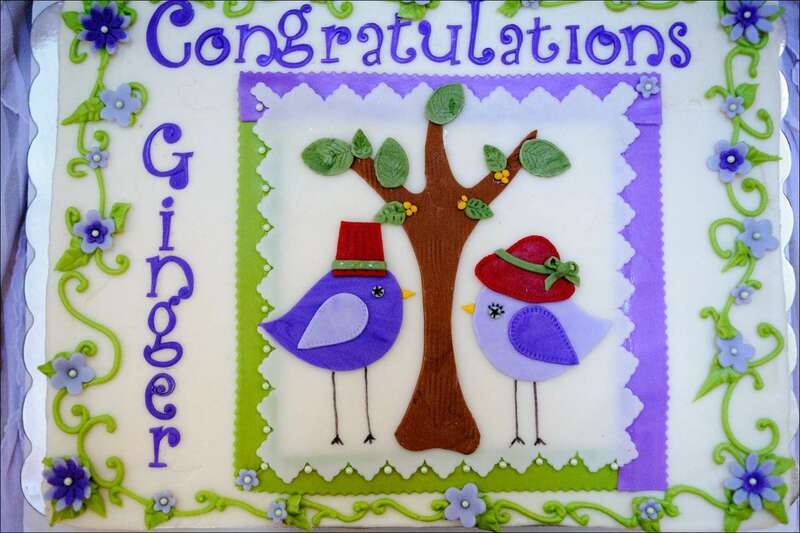 Ginger designed the quilt block and was recently accepted into a quilters training program as a teacher, so the local quilting guild to which my Mother-In-Law belongs was throwing a party in her honor. Mom asked me to make this cake for the celebration. 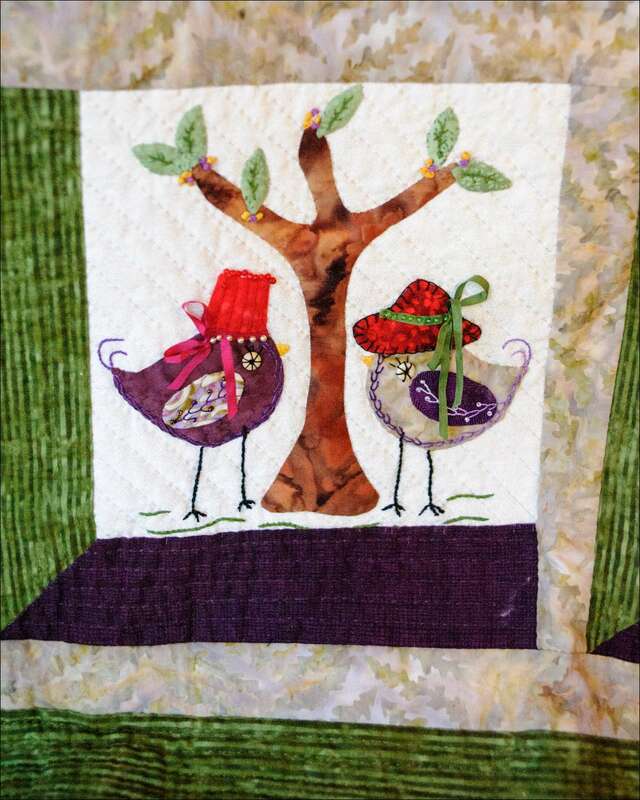 Since the size was right, I essentially used the quilt block as a template and cut the bird and trees the same size as they fit the cake perfectly. It’s a chocolate 12×16″ cake with cream cheese buttercream filling and iced with vanilla buttercream. 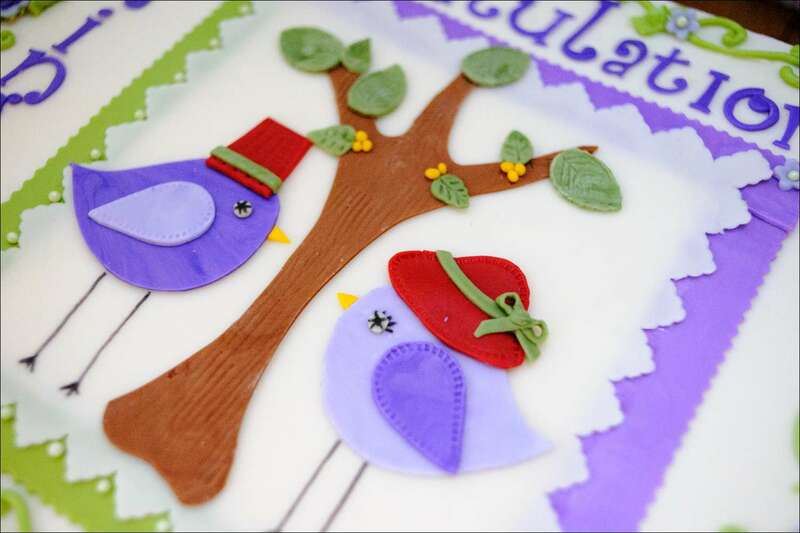 The bird and tree details are all hand-cut from homemade marshmallow fondant. 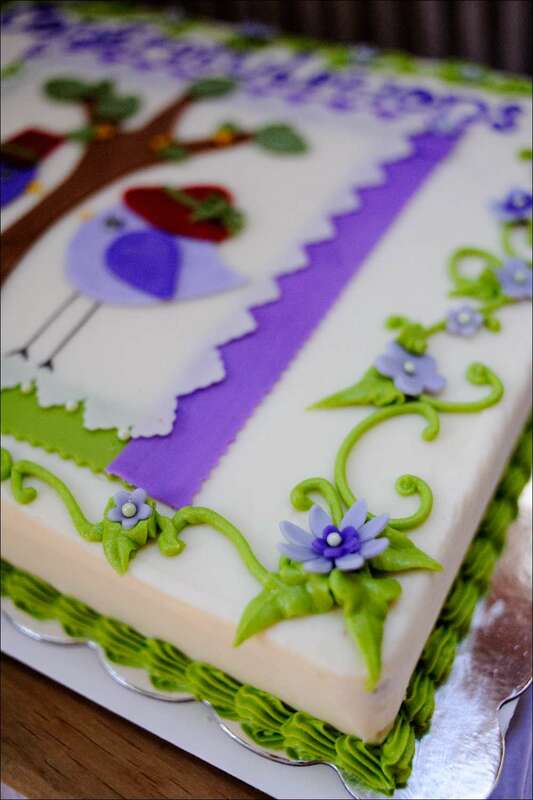 The letters and flowers are cut using fondant cutters; the borders and vines are buttercream. The color scheme was purple and green. 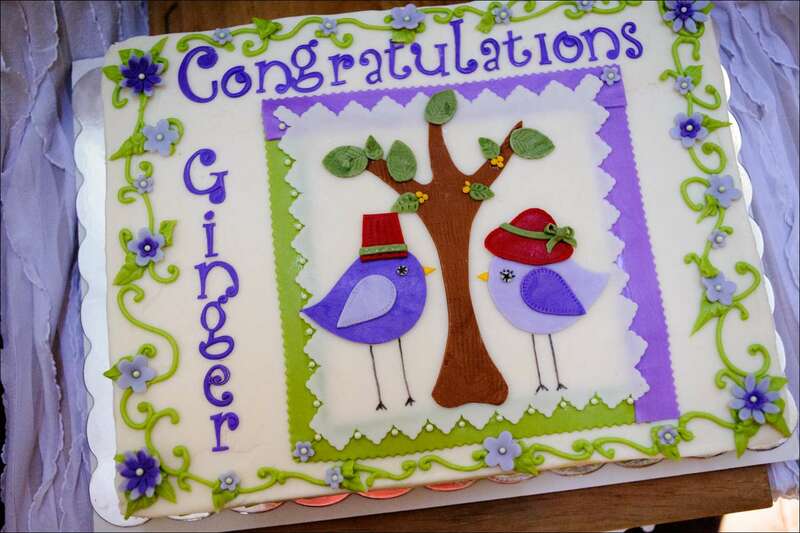 Congrats, Ginger!! I really enjoyed making your cake!